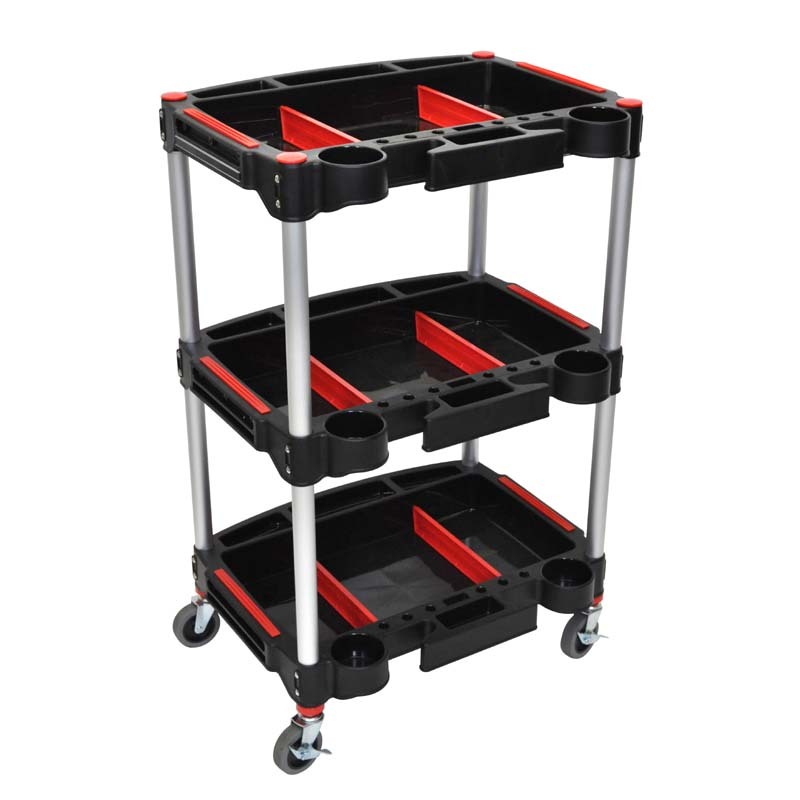 More on the Luxor 3 Shelf Mechanics Utility Cart (Black) MC-3 below. 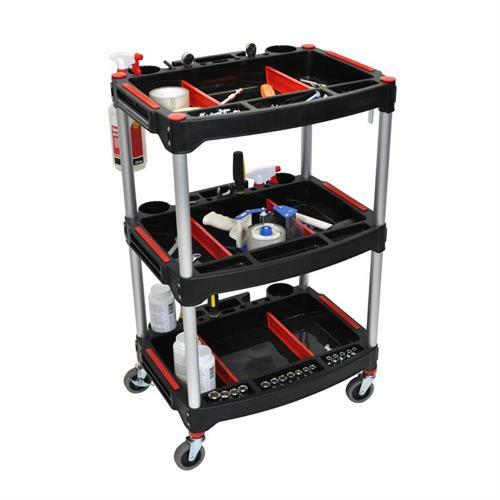 The Mechanics Three-Shelf Cart will prevent clutter and consolidate your tools. 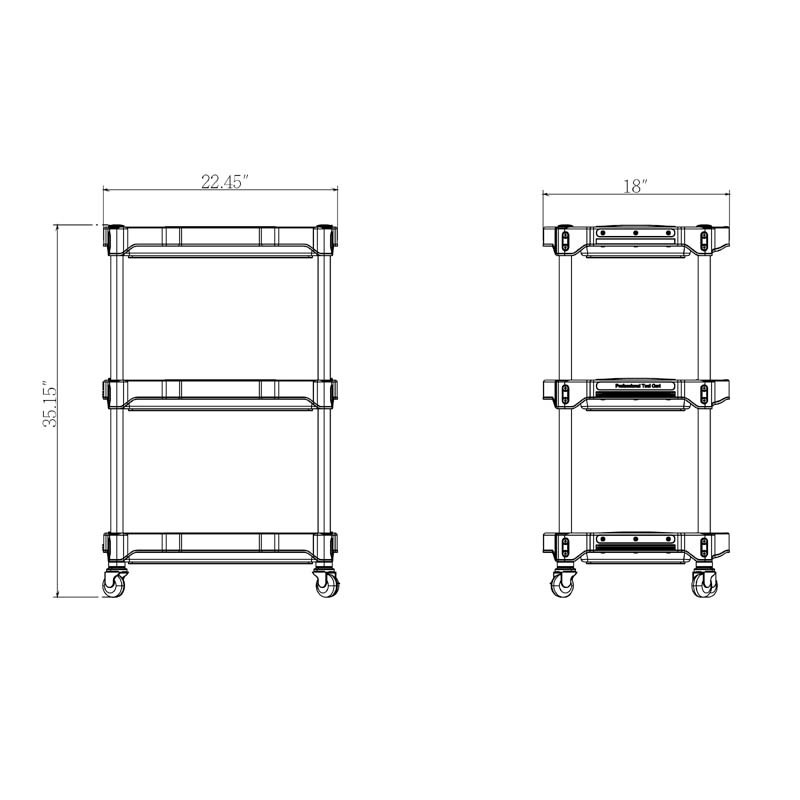 Each shelf features two dividers for easily separating items while two cup-holders on each shelf can hold a drink or bottles for cleaning or maintenance. 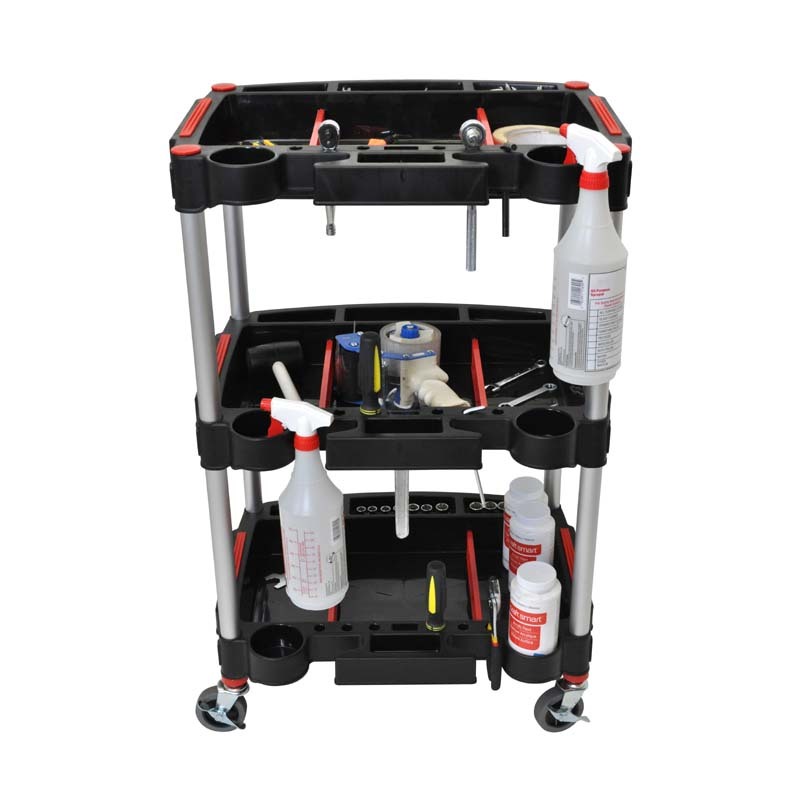 A magnetic strip running along the outside of the top shelf makes tools easily accessible. At the center of each shelf is a cable-wrap for easy management of extension cords and cables. 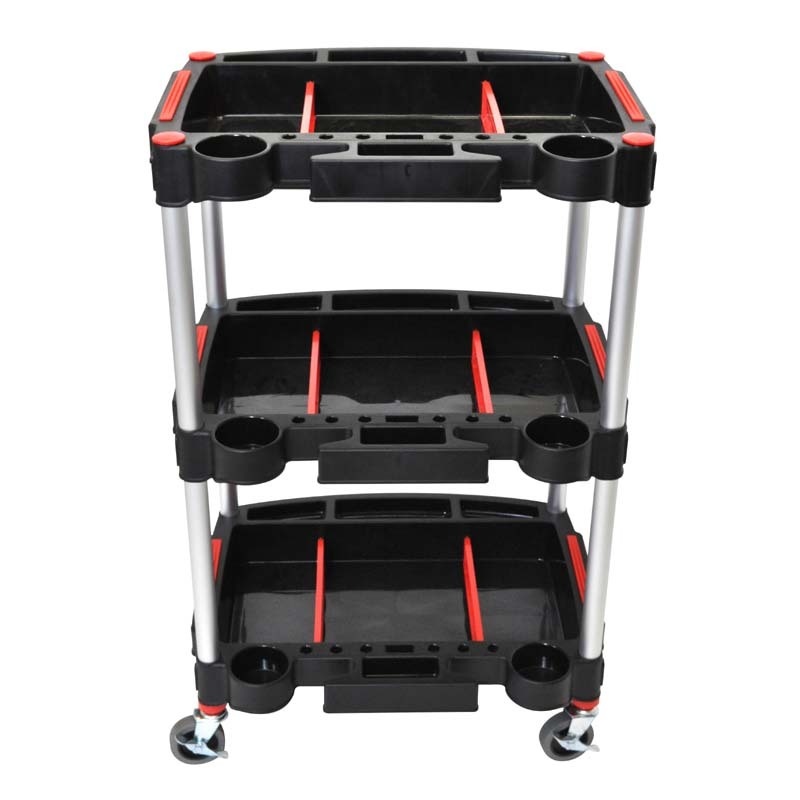 High-quality 3 inch casters, two with locking brakes, make the cart mobile. With a home for nearly every common tool, the Mechanics Three-Shelf Cart will simplify your projects.